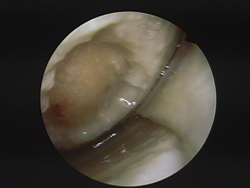 Is irreversible cartilage damage still a fact of life? Cartilage cells are vital as cushions inside the joints of the body. 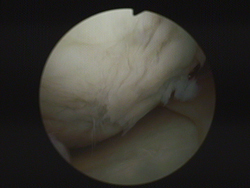 Healthy cartilage tissue keeps joints smooth, flexible and pain free. If the cartilage tissue becomes damaged, this damage tends to be permanent. Joints become painful and lose their flexibility. Cartilage cannot regenerate naturally inside the body. After some time the bones start to collide. The joints start to become inflamed and permanently stiff, unless a prosthetic joint is implanted. This painful process represents the irreversible development of osteoarthritis. Patients and doctors around the world accepted the irreversibility of cartilage damage as a fact of life - until now. 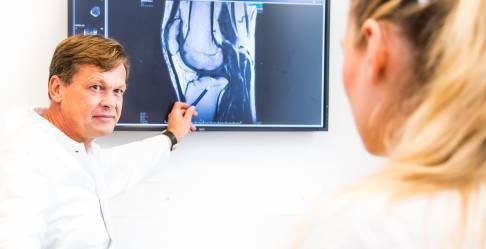 Modern medicine has now come up with an ingenious solution to this problem: from a small amount of cartilage cells taken from a patient, a huge quantity of new cartilage can be grown outside the body. How does this biological cartilage regeneration take place? At the German Gelenk Klinik in the city of Freiburg (home to one of the oldest Universities in Germany (since 1457) and a leading centre for medical science in Germany), this procedure of cartilage transplantation is performed daily. Dr. Peter Baum, founder and chief physician of the Gelenk Klinik was a pioneer, being the first surgeon in the world to master cartilage transplantation as a minimally invasive procedure.